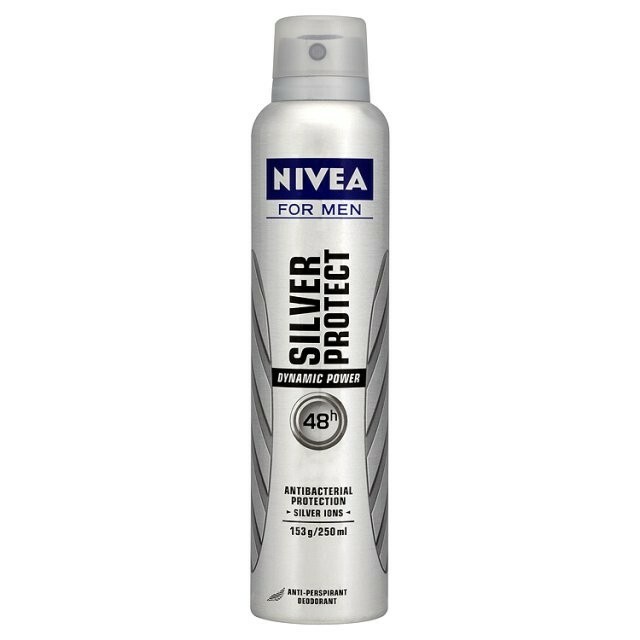 Nivea For Men Deodorant Silver Protect with anti-bacterial silver ions helping to eliminate bacteria and prevent body odour. Delivers 24 hour confidence and anti-perspirant protection keeping you fresh and dry all day long. Hold can 15cm from the underarm and spray. Do not apply to broken or irritated skin. Butane, Isobutane, Propane, Cyclomethicone, Aluminum Chlorohydrate, Tocopheryl Acetate, Persea Gratissima Oil, Silver Citrate, Aqua, Citric Acid, Dimethicone, Disteardimonium Hectorite, Octyldodecanol, Limonene, Butylphenyl, Methylpropional, Coumarin, Eugenol, Benzyl Alcohol, Parfum. My hubby had a travel-size can of this in a Nivea travel-pack. I really loved its subtle fragrance, but it did lack staying power. A light, refreshing, masculine scent. Doesn't irritate the skin. No staying power. More expensive than many equally effective deodorants. A decent deodorant, but doesn't last that long. This spray is easy to use and smells nice and fresh but unfortunatly needs reapplting after a while because the scent wears off,it is good but only average and you can buy cheaper longer lasting deodorant sprays. The roll on is much more effective. Despite being branded as lasting 24 hours this product doesn't last as long as the roll on version. Still it's a good product and in expensive. 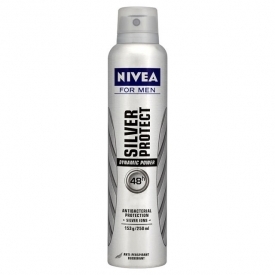 "My hubby had a travel-size can of this in a Nivea travel-pack. I really loved its subtle fragrance, but it did lack staying power...."